Kanyakumari Wildlife Sanctuary is a 402.4 km2 (155.4 sq mi) protected area in Kanyakumari district, Tamil Nadu South India declared in February 2008. The area is a tiger habitat. The virgin forests of Kanyakumari District got transferred from Kerala to Tamil Nadu on the 1st November 1956 as a result of the state reorganization. 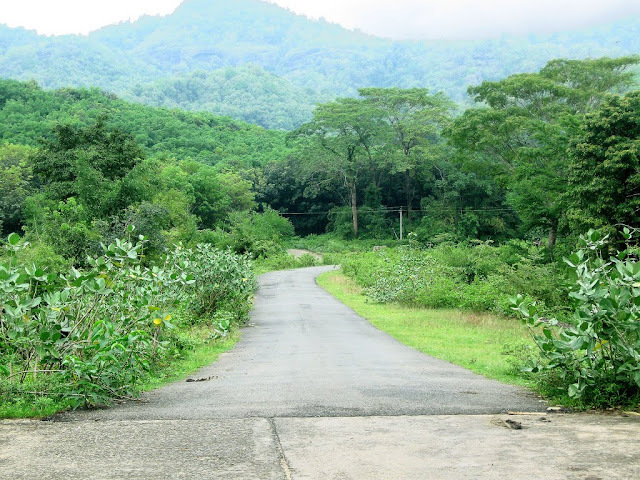 Kanyakumari Forest Division came into existence from 1st April 1977, with the headquarters at Nagercoil. Government Reserved Forests occupy an area of 50486 ha, i.e., 30.2% of the total geographic area of the Kanyakumari District. 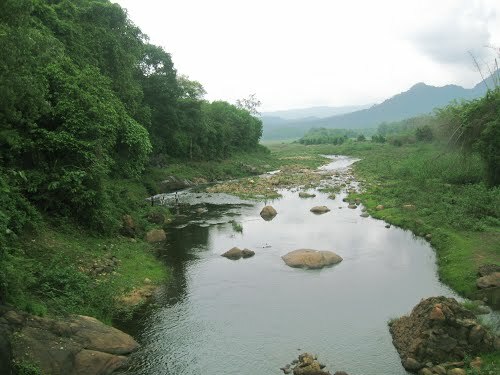 Kanyakumari Wildlife sanctuary with adjacent areas of Kalakkad Mundanthurai Tiger Reserve and Neyyar Wildlife Sanctuary of Kerala State constitutes the southernmost tip of Western Ghats. The natural vegetation of this region represents biomes ranging from southern thorn forests, dry deciduous, moist deciduous, semi evergreen forests to ever green hill sholas with grassy downs. 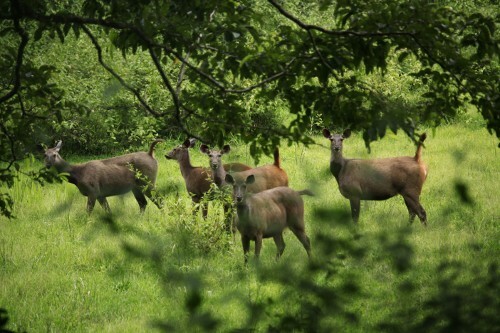 The tract is exceedingly rich in wildlife harbouring a variety of animals. 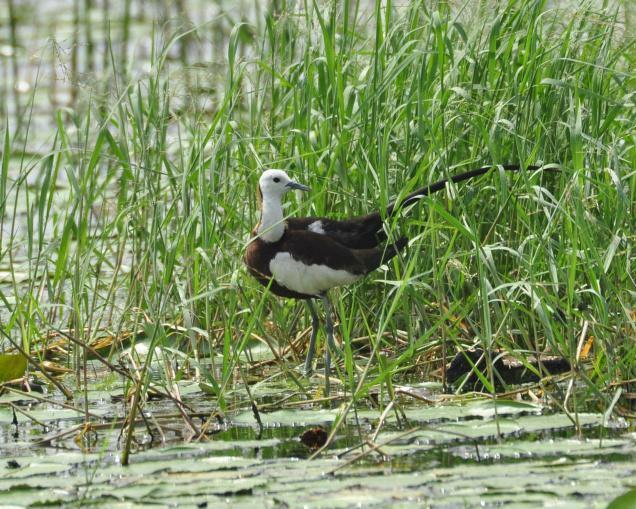 The avifauna, the reptilian and amphibian fauna of this region are also rich and diverse. The Kanyakumari Wildlife Sanctuary is located in Kanyakumari, commonly known to the rest of the country as the southernmost tip of India. This tip of the Indian peninsula is a unique geographic point as it is one of a handful of places, if not the only, to be surrounded by all three of the sub-continent’s vast oceans – the Bay of Bengal, Indian Ocean and the Arabian Sea. This, in combination with the fact that the sanctuary touches the southern tip of the Western Ghats is cause for – albeit understandably – the distinct and highly rare quality and combination of its biosphere. Being surrounded by three major oceans has a direct and obvious effect on its monsoon. The sanctuary receives extremely heavy rainfall of 1369 mm each year which is both unevenly and oddly distributed. Tropical wet evergreen forests and southern thorn scrub forests are the extremes that form the spectrum of vegetation in this sanctuary. The variation in forest type is mainly due to the pattern of the monsoon. At the Kanyakumari Wildlife Sanctuary is a whopping 427 species of Indian plants, of which 123 are found in the state and 62 are endemic to Tamil Nadu. In Upper Kodaiyar and other craggy regions of the Tirunelveli District, where the sanctuary lies, you will find a particularly interesting plant called Hill arecanut. It is an endemic palm occurring in these locales. In this category are also two other palms found in abundance – the Arenga wightii and Poanaca docksonii. They yield a deadly brew that is locally known as toddy. Toddy is simply an alcohol made out of the tender water of these palms by fermentation; the toddy from these palms are glorified, relished and sought after by the tribals in the area. In fact, an interesting fact of the forests in Kanyakumari is that they are said to be more than 70 million old. Now that’s called an age old area, which has been developed. 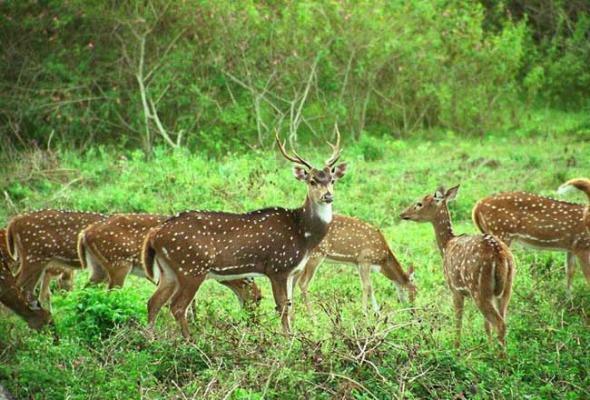 The Kanyakumari Wildlife Sanctuary is a crucial wildlife corridor with exceptionally high biodiversity. 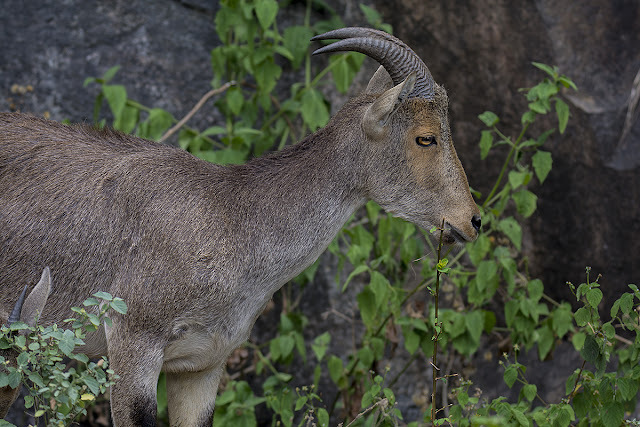 Inevitably, it is home to several species that are endangered, such as the Indian rock python, lion-tailed macaque, mouse deer, Nilgiri Tahr, Sambar deer, Indian bison and elephant. Sadly, construction of hydel projects, encroachment, conversion of forest to farmland, poaching and poisoning have cause many species like tigers, panthers, black buck and deer to dwindle. Nonetheless, animal species that continue to be commonly spotted at the Kanyakumari Wildlife Sanctuary are bonnet macaque, jackal, Indian fox, leopard, small Indian civet, Indian chevrotain, otter, sloth bear, large brown flying squirrel, pangolin and flying fox among many others. The Kanyakumari Sanctuary is simply fantastic for wildlife viewing and nature walks; it is also a unique experience to see the meeting point of the three main oceans. This is considered as one of nature’s most wonderful phenomena, the blending of their waters and sand; a must do for all who visit the south of India and compelling in its own right to other travelers as well. In due recognition of the tremendous biological potential, Kanyakumari forest division was declared as Kanyakumari Wildlife Sanctuary during 2002 vide G.O.Ms.No.152 dated: 16.07.2002 with an extent of 45777.57 ha. Later in 2007 Kani tribal settlements, approach road to settlements and area leased out to Arasu Rubber Corporation were excluded from the sanctuary and vide G.O. 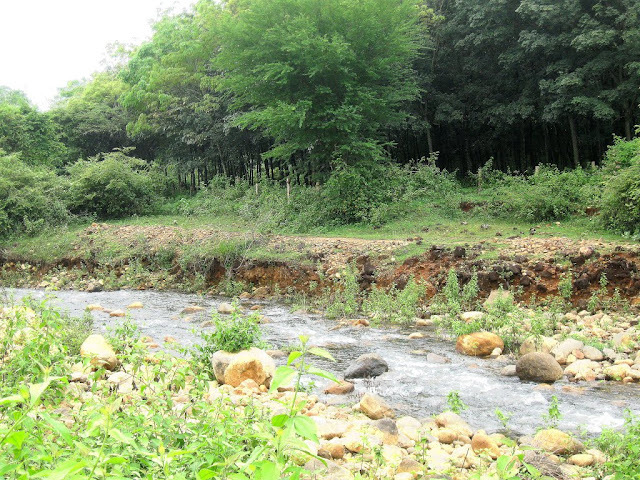 (Ms) No.128 (E&F) dated 20.11.2007 and an area of 40239.55 hectares was declared as Kanyakumari Wildlife Sanctuary. Kanyakumari District is the southernmost tip of India with Kerala on the north-west, Tirunelveli District in north-east, Arabian Sea in the south-west, Bay of Bengal in the South east and Indian Ocean in the south. Kanyakumari Forest Division is located between 77o10’-77o35’ east longitude and 8o5’ – 8o35’ north latitude. Kanyakumari district has a pleasant general climate. The climate is greatly influenced by the south west and north east monsoon winds. Its proximity of the sea and the dwindling heights of Western Ghats also affect the weather of this district. In Kanyakumari rainfall is distributed over four seasons, (a) South west monsoon i.e. during the months from June to September (b) north-east monsoon i.e. during the months from October to December (c) Winter i.e. during the months from January to February and (d) the hot weather summer seasons. In the hill region the rainfall is uniformly distributed. The maximum rainfall occurs during October and November. This district gets an average annual rainfall of 1369.5 mm with 79.7 rainy days. 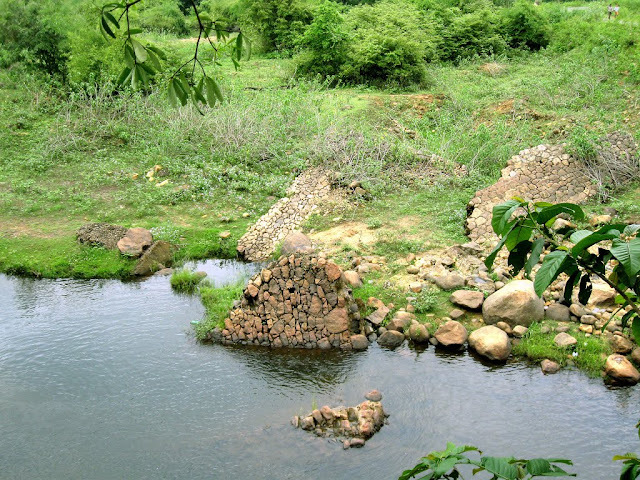 The ecological significance of the Kanyakumari Wildlife Sanctuary is of paramount importance. The forests serve as a catchment area for 10 reservoirs namely Pechiparai, Perumchanni, Chithar-1, Chithar-II, Upper Kodaiyar, Lower Kodaiyar, Kuthiyar, Chinna Kuthiyar, Mukkadal and Poigai Anai. These reservoirs irrigate an area of about 50,000 ha and feed about 2,500 ponds and more than 500 Kms. lengths of channels. The well-being of these water systems is closely related to the prosperity of the farmers of the district as the economy of the district depends on agriculture. 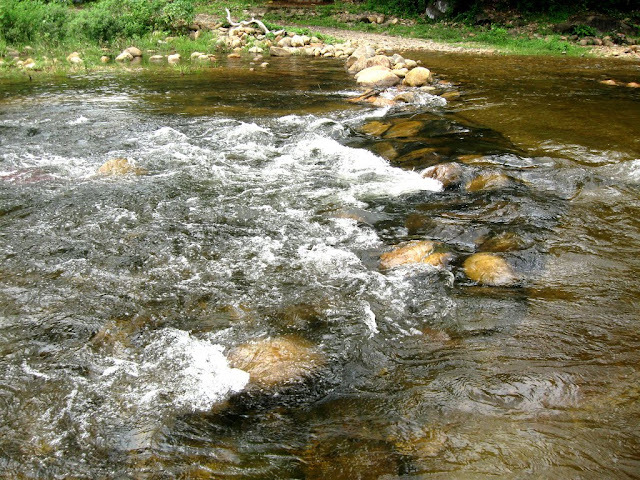 The rainwater due to precipitation in the reserve forest is collected by hundreds of the hill streams. 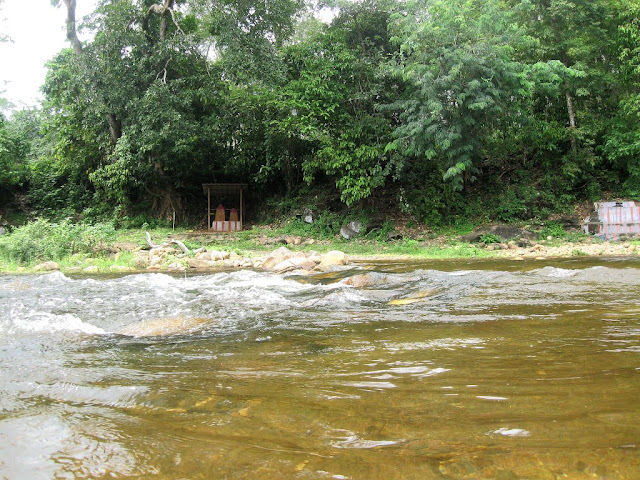 These streams drain into Kodaiyar, Paraliyar, Pazhayar and Valliyar. Only if the reserve forests are protected well, the water resources can be maintained properly. The vegetation and flora of Kanyakumari sanctuary are exceptional because of extraordinary variety of species occurring within a small area. 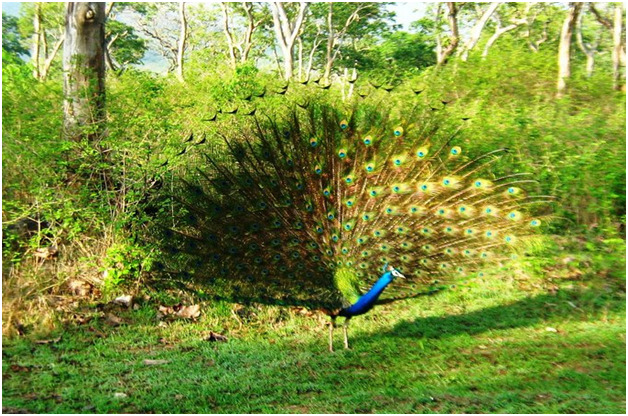 Kanyakumari Wildlife Sanctuary is floristically one of the richest areas in our country harbouring not less than 3500 species of flowering plants. The IUCN has identified 11 plant species as critically endangered, 12 species as endangered, and 21 species as vulnerable. This indicates the fragile nature of the ecosystem. However the floral diversity is one of uniqueness of the forest. 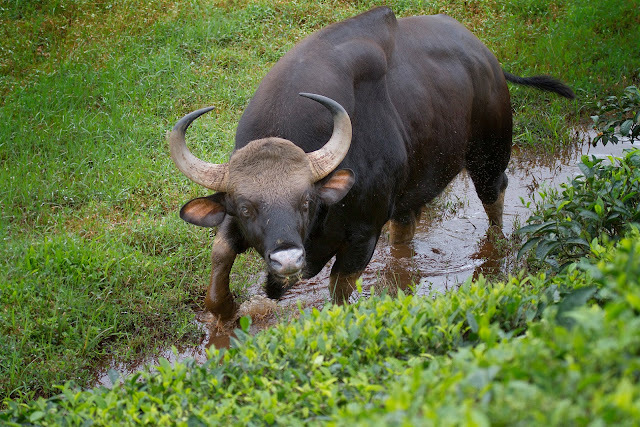 The area is a wildlife corridor with high biodiversity, and in addition to tigers, is home to threatened species: Indian Bison, elephant, Indian Rock Python, Lion-tailed Macaque,Mouse deer, Nilgiri Tahr and Sambar deer. 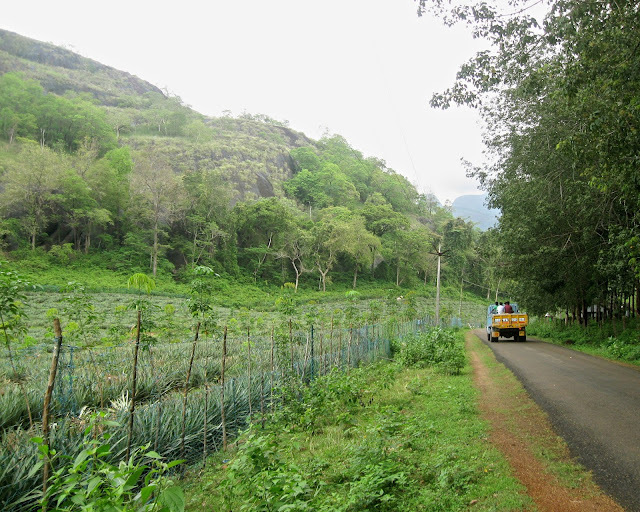 Kanyakumari Forests though small in area has as many as 14 forest types as far Champion and Seth (1968) classification. 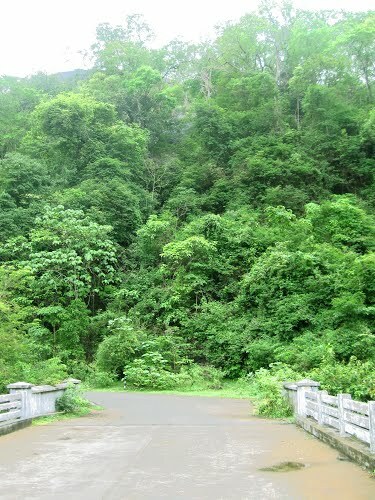 The forests of this Division constitute the southern tip of the Western Ghats forests. Various types of Forests from luxuriant Tropical Wet Evergreen forests to Southern Thorn Scrub forests occur in this Division because of diverse locality factors (edaphic and biotic) varying rainfall from 50 to 310 cm and elevations from Sea level up to 1829 M.
Hilltop Grasslands are found in Veerapuli and Asambu Reserved Forests near Shola patches. In precipitous localities, bordering Tirunelveli district, especially around Upper Kodaiyar Bentinckia conddappana, known as Hill arecanut, an interesting endemic palm occurs. Along the depressions Arenga wightii and Poanaca docksonii, two other palms, are found in plenty. The former yields highly intoxicating toddy, which is much sought after by tribals. Ochlandra Reed Brakes (8A/E1) form an important and characteristic forest type occurring in Veerapuli RF. In the Red Data Book, the Botanical survey of India had categorized the present status of 427 Indian plants. Out of this, 123 species occur in Tamil Nadu, and as many as 62 species are endemic to Tamil Nadu. 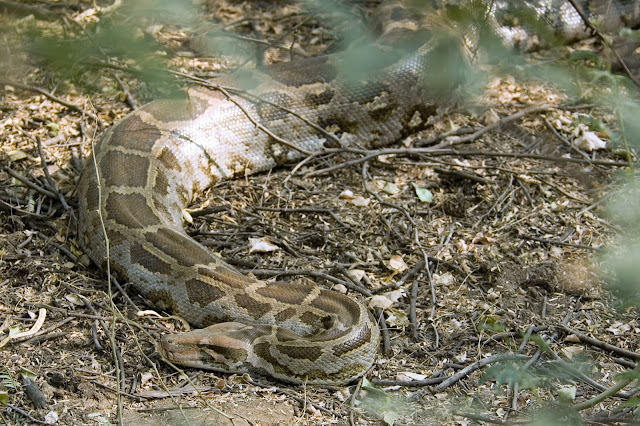 39 of these occur in the Western Ghats. 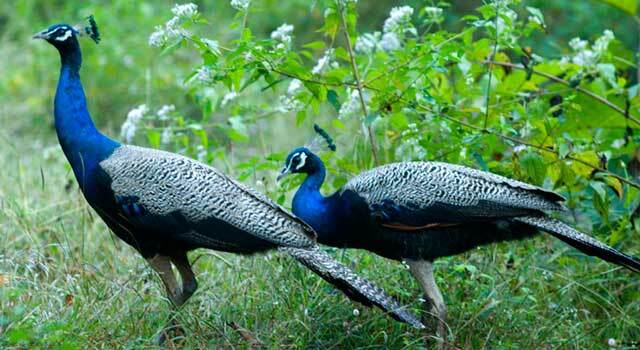 Kanyakumari Wildlife Sanctuary being a part of Western Ghats is rich in wildlife with at least 30 types of mammals, about 100 species of birds including 14 species of migratory birds and many species of fishes, reptiles and amphibians. The presence of Tiger and Leopard though scanty lends credence to the richness of biodiversity of the tract. Its number is also very much reduced by human interference by way of construction of hydel projects and large conversion of natural forests into rubber et., plantation and encroachments and private estates. Poaching and poisoning have accounted for reduction in number of animals like Tiger, Panther, Elephant, Black Buck and Deer etc., Inspite of this a considerable variety of wildlife can be seen in this division as follows. Bonnet Macaque, Common Langur or Hanuman Langur, Nilgiri Langur, Slender Loris, Tiger, Leopard or Panther, Jungle Cat, Small Indian Civet, Mangoose, Jackal, Indian Fox, Dhole or Indian Wild Dog, Sloth Bear, Otter, Large Brown Flying Squirrel, Flying Fox, Indian Giant Squirrel, Indian Porcupine, India Hare, Indian Elephant, Gaur or India Bison, Nilgiri Tahr, Chital or spotted Deer, Black Buck or Indian Antelope, Sambar, Barking Deer, Mousse Deer or India Chevrotain, Wild Boar, Pangolin. Forests are the heritage of the nation. These are assets and natural resources of the nation on which all forms of life depend and thrive. 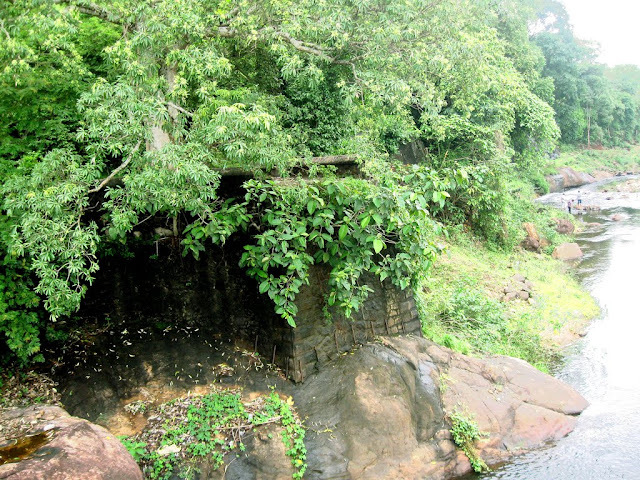 The forests in Kanyakumari districts are verdant and virgin and said to be 75 million years old. Of the total district area of 1,67,130 hectares, forests occupy an area of 50486 hectares which comes to about 30.2% of the total district geographic area, which is next to Nilgiri district with (59 %) and Dharmapuri District (38 %) in the State. The district is having 52 % of its forests as dense forests.